It has been an interesting few weeks. Ground to ground is getting out there and generating interest, and some of the comments coming in have been fantastic. In some of the local Leader newspapers. Blisstree: Coffee Grounds: Do You Put Them In the Garbage or Garden? There are others out there….. however this is enough. For now. 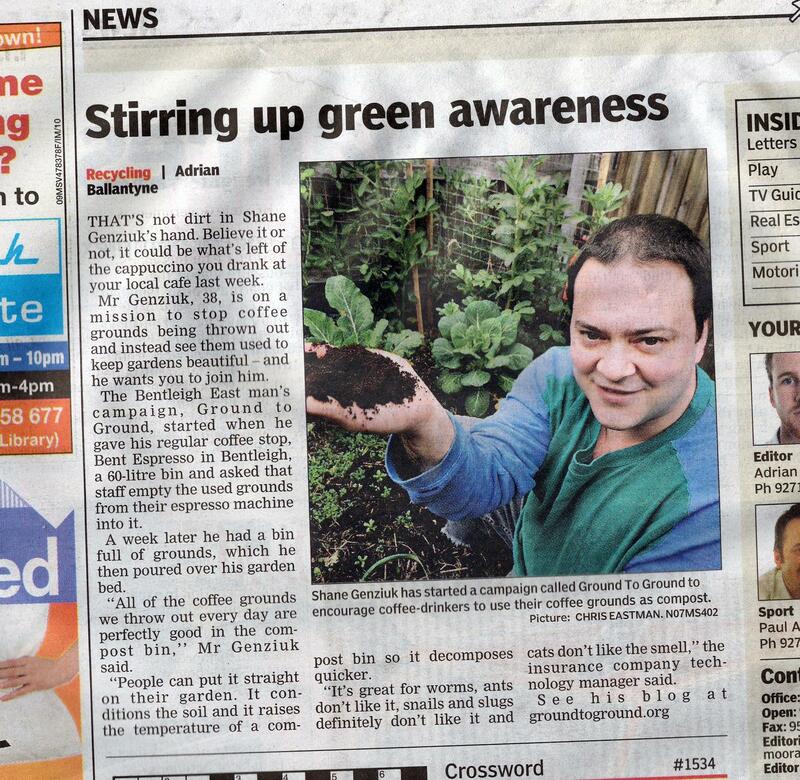 Tags: coffee, coffee grounds, compost, fertiliser, Ground to Ground, news. Bookmark the permalink. Nice one, and thanks for sending me to your site for how you guys turn coffee grounds into compost. I’m looking for those barrels so I can do the same. While I’ve got you, how are you going with the Ground to Ground logo? Fantastic! Great to see your idea attracting such great media.